Where do I find a lawyer in Indiana? In the United States, many laws vary from jurisdiction to jurisdiction. Indiana Lawyers are well suited to dealing with unique law and circumstances in the state of Indiana. Additionally, an Indiana lawyer will have links and relationships with other legal and judicial professionals, which may be beneficial to your case. Finding an Indiana lawyer is advantageous for a number of reasons when dealing with a civil or criminal matter in an unfamiliar jurisdiction. Seat belt and window tinting laws are an excellent example of how legislation varies by location. In Indiana, seatbelt laws are primary enforcement, meaning that you can be stopped and ticket just for failing to wear a seatbelt. This differs from other states that have secondary enforcement, where failure to wear a seatbelt is added to other violations that caused the traffic stop. All persons over the age of 16 in all seats must wear a seatbelt and the fine for the first offense is $25. For window tinting, the front, side and rear windows must allow 30% of light in and may not be more than 25% reflective. Other states may ban tinting of certain colors but this is not the case in Indiana. Whether or not these laws are enforced across state lines is at the discretion of the police officer. These laws are just one example that Indiana lawyers that are familiar with these local laws can help you if you find yourself in trouble with the law due to state or local laws and have your cases tried in that jurisdiction. Why would I need an Indiana lawyer? All state legal codes are unique to the state. The Indiana code for instance, has 36 Titles and over 13,000 clauses, many unique to Indiana. Indiana lawyers, by virtue of years of experience practicing law in the state, will have the best knowledge of the system and ways that they may be able to help you if you ever unintentionally violate Indiana law. The Indiana lawyer has taken and passed the Multistate Bar Exam, achieving a scaled score of 80. There is also an Indiana Bar Examination that required a scaled score of 264 for admission to the Bar. When finding an Indiana lawyer, be assured that they have the knowledge required to represent your interests adequately, by virtue of their examination process. What are organizations of Indiana lawyers? The Indiana State Bar Association is a non-mandatory organization of legal professionals in Indiana with 12,000 members. As a professional organization, the InBar maintains a number of services for their members, the most important being Indiana Docs, a database of legal forms relevant to the needs of lawyers practicing law in Indiana. This system, available for a subscription, helps to standardize legal forms across Indiana, saving member’s time and providing a higher level of reliable service for lawyer clients. The InBar maintains sectional membership for lawyers with annual dues ranging from as low as $10 for the Young Lawyers section to $25 for the Taxation section. Sectional membership is important in all Bar Associations to create professional links, keep members up to date on developments in their professional fields including new laws and the results of court cases. The Indiana Lawyer Blog also discusses legal developments and news. Among the services for members are the Judges and Lawyers Assistance Program that deals with mental health and substance abuse among its members. This includes a peer to peer hotline to help these lawyers with personal crisis issues. In addition to the InBar there are a number of local Bar Associations, by county as well as the large Indianapolis Bar Association based in Indiana’s largest city. How do I know my Indiana lawyer is legitimate? Admission to the State Bar is not mandatory, but most lawyers will be a member of at least a local Bar Association, if not the primary state Bar Association. The InBar has a comprehensive directory of its members, which can be viewed by county or member section. This can be a way of determining if your lawyer is legitimate or be used to find a lawyer that is authorized to practice law in Indiana. If you cannot find your lawyer in the Bar Association’s directory, then that individual is either not a lawyer, or has very high privacy concerns. Do not accept any service or document prepared by this individual if you cannot verify admission to the Bar. What are the typical rates of an Indiana lawyer? As with all legal practices, fees are usually not set in stone and subject to change with the economic needs of the client. In fact, for criminal and negligence cases, fees are typically not advertised and are usually determined by consultation. Typical rules apply, such as working on contingency for accident cases, variable fees for complicated cases and flat fees for providing legal services, such as writing documents. The client must use caution when using retainer arrangements as the lawyer, under the traditional form of the arrangement can deduct as he needs from the retainer and request that the client replenish is as needed. This can be combined with another fee in a “blended fee arrangement” where needy clients can pay a small retainer in exchange for contingency arrangements or extended payment plans. Betty and William Harrington, Indiana Trial Lawyers display their fees on their website with William Harrington charging hourly fees $25 higher than his partner at $250 per hour. Therese hourly fees also require a retainer that is variable and will be determined by case. Additionally, the Harrington Law office offers mediation services at $200 an hour with the costs generally split between the parties. These fees were current as of 2008. These fees should give you a benchmark of how much some Indiana lawyers charge to perform services. Unlike personal injury and other litigation, legal service fees are advertised, allowing the client to pick the best deal. There must be considerations for the quality of the lawyer and the document produced, of course. You can negotiate a flat fee arrangement for litigation, but this is not recommended as the lawyer will want to be adequately compensated for his service and litigation can often go on for longer than expected. Paying a flat fee does not incentivize the lawyer and the lawyer may indeed try to end the case quickly. Hourly billing is the preferred means by which lawyers are paid for non-contingency cases. Some lawyers may have alternate pay plans or different arrangements to pay fees, so it is best to check with the lawyer during the consultation for alternate fee arrangements. Be aware of hidden fees or fees for using ancillary services and personnel, such as the service of a paralegal. What are questions to ask Indiana lawyers? - How does my case relate to Indiana laws? - Are local laws in effect for this case? - What are your fees and do you have alternate payment plans? - Can I please have all fees in writing? - Can we work out an alternate arrangement that suits my financial needs? - What are my chances of winning a settlement or at trial? - Do you have inclusive service packages available? There are many ways by which an individual may find lawyers in Indiana. You may use this website’s search function to find a lawyer in Indiana. Additionally, you may use an Indiana lawyer directory, compiled by the State Bar of Indiana. This directory is not comprehensive as membership in the State Bart Association is not mandatory. The local bar association directory may also prove useful for a more focused search on lawyers that will be easy to reach and consult about a case. Indiana directories are available that list attorneys that have met the standards of the listing organization. Check the criteria of the listings when trying to find a lawyer in Indiana. Lawyers in Indiana sometimes offer free consultations and work on contingency for accident and negligence cases. 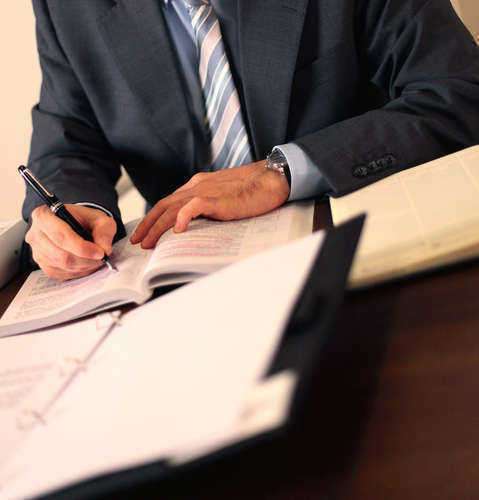 The contingency rate can vary due to the nature and circumstances of the case. For all other cases, expect lawyers in Indiana to charge standard hourly and flat rates for providing legal services. Retainers are common in cases that may be lengthy and require the continued service of one or more lawyers. Indiana lawyer referral services can also be helpful to find a lawyer. Remember that even if you are from outside the state and have a trusted lawyer in your home jurisdiction, you may be better off finding an expert on Indiana laws that can serve as your lawyer. Indiana has a lengthy legal code and many laws are subject to change that may make it difficult for an out-of-state attorney to keep track of developments. Even in large municipalities, an Indiana lawyer from that municipality, for example Indianapolis, will be the best option for finding a lawyer in Indiana.